From Amazon: When Amanda Garrett stumbles across a strange artifact in the woods, she has no idea of the dangerous secret it holds. The teen soon discovers that she has unwittingly released Erol, an imprisoned jinni, and whether she likes it or not, they are bound together until death. Amanda’s life soon begins to spiral out of control and she finds herself orphaned, kidnapped, and thrust into a terrifying reality. Her captor is convinced that Erol knows the whereabouts of a powerful relic which has been hidden from him and he wants the pair to retrieve it. Still reeling from her loss, and hoping to be spared further pain, Amanda agrees. After Amanda discovers the power of the relic that her captor seeks, the only thing she knows for certain is that her true suffering has only just begun, because no matter how great the sacrifice, she can never allow the relic to fall into her captor’s hands. I enjoyed the ease of the narrative, as the story just seemed to flow off the pages. The pacing of the plot was very steady and engaging. Considering that this is a teen/young adult fantasy novel, I found the language and style very appropriate for the target age group, while not dumbed down. I don’t think I saw any grammatical errors, and the book was very well edited. This third person narrative follows Amanda and her struggles. 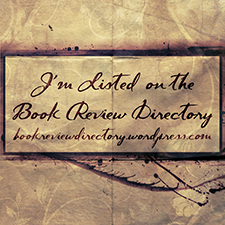 The reader sees most of the story through her eyes, and the descriptive language makes it very easy to create the different worlds and realms that Amanda sees and experiences, come to life. The narrative was a little choppy at times, but this can be fixed. The choppiness was largely related to emotional and personal feelings. The world was wonderfully fleshed out but I think that the characters needed a little more… character, at times. Amanda has a great framework to her, as does Erol, but considering the events that happen to Amanda, in rather quick succession, I expected more depth of feeling from the character. Amanda is a strong, practical, level-headed 16/17 year old but the death of a loved one will affect anyone. It will especially affect a young woman who has just lost her last blood relative. These sorts of emotional minefields were too glossed over for my liking. I enjoyed this book, and I think that Ms Ainihi has a wonderful, compelling story to tell. The plan is for this to be a tetralogy, and I hope that the forthcoming books are as engaging and easy to negotiate. I especially enjoyed the way in which the author introduced aspects, traditions and beings from other, non-Christian, cultures into the narrative. This didn’t feel shoehorned, but rather a very organic part of the story. The strength of this novel is the pace of the narrative and the mystery surrounding the characters. I found that I didn’t know exactly what was going to happen but I was entirely engaged, and desperately kept reading to see what would happen next and where the story would take me. I would definitely recommend this to young people who are interested in fantasy but not wanting to bombarded by “high fantasy”, people who are starting out in the genre and who want a good dose of escapism. 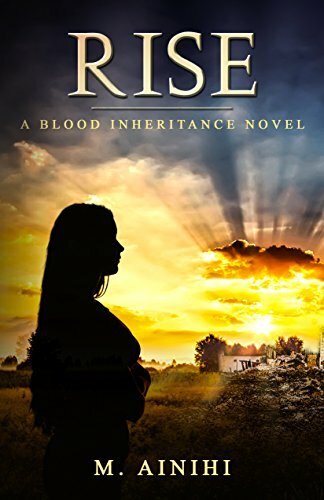 Rise: A Blood Inheritance Novel is available from Amazon.